Labasa play Rewa in the first semifinal and Suva take on defending Vodafone Fiji FACT champions Nadi in the second semifinal at Ratu Cakobau Park, Nausori next month. The four teams qualify after the completion of three days of pool game yesterday. The Fiji Football Association will confirm the dates later but it’s likely to be on June 16-18. It was all left to the last match between Suva and Rewa to decide the semifinalists. 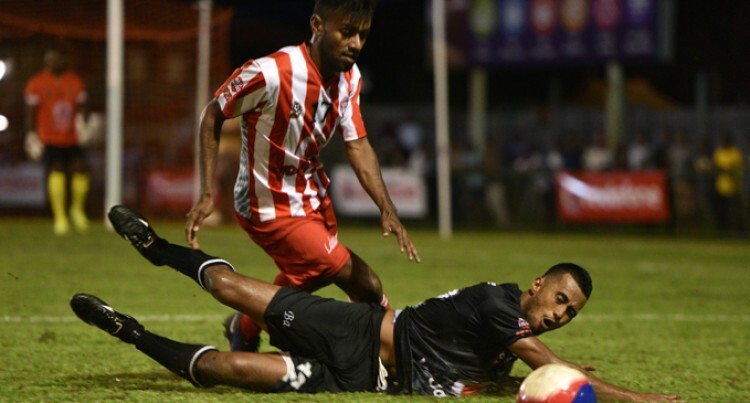 Both teams ended the match in a scoreless draw that resulted in Rewa accompanying the high flying Suva to the semifinals pushing Lautoka out. The Blues earlier defeated Rakiraki 10-1. Fiji FA chief executive officer Mohammed Yusuf said the semifinals will be tough. “We are yet to confirm the dates of the semifinals and finals which will be made after discussion with Nausori Town Council,”he said. Yusuf also commended the performance of the teams and said that the tournament has so far showcased the best talents in Fijian football and the semifinals and final will be more exciting. “The pool plays were very successful as we have good crowd and we thank spectators for turning up in numbers in supporting their teams,” Yusuf added.